If your looking for a new machine or looking to upgrade your old one, Community Vacuum and Sewing Center is the place to visit. Located in Alexandria, MN, it is centrally located and serves the Alexandria area. 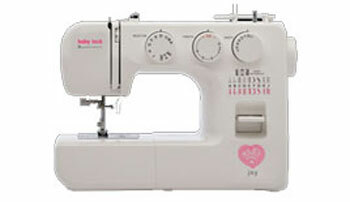 We feature Baby Lock sewing machines in a variety of different models. We can guide you through the wonderful features on each model to find the right machine to suit your budget and your life. Whether your are interested in an embroidery, quilting, sewing, Long Arm or Serger, we have all types of machines for your enjoyment. Community Vacuum and Sewing Center provides sewing machine maintenance, repair and service for most sewing machine brands. We can help you keep your machine in top running condition. Here are a few of the machines we have available. To view more, stop in at 131 Broadway St, Alexandria, MN 58308 during our business hours; Monday-Friday: 9:00AM – 5:30PM, Saturday: 9:00AM – 12:00PM. Solaris- Put your projects in an entirely new light with the Babylock Solaris. With the revolutionary new IQ visionary Technology, you’ll see how your design looks before you stitch it out! Soaris’ built-in projector displays your stitches and embroidery patterns on fabric in vibrant full color for precte placement every time. 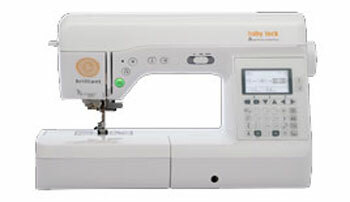 The Destiny II– embraces the future of sewing. You’ll enjoy a larger workspace, a tablet-sized screen, and an impressive selection of built-in stitches and embroidery designs. We’ve also included, new smart features powered by Baby Lock IQ. Technology to make every step of your projects easier than ever before. 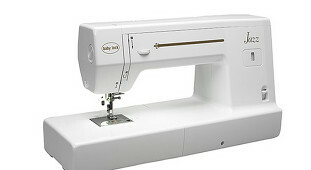 The Aventura II – provides sewing enthusiasts with 300 stiches to choose from, as well as the Advanced Pivoting Feature for easy maneuvering around corners, curves and appliques. Coupled with 13 included accessory feet, this amazing machine lets you go more places with your sewing and embroidery. Flourish II – Let your imagination blossom with the Baby Lock Flourish embroidery machine. Its user-friendly features include a color LCD touchscreen and push-button controls to get you up and running quickly. Once you’re started, the Flourish’s 141 built-in embroidery designs, 13 built-in embroidery fonts, on-screen embroidery editing, and 6-1/4” x 10-1/4” embroidery field also give your creativity ample room to run wild. The Crescendo – luxury sewing and quilting machine is powered by Baby Lock IQ Technology ™ to enhance your sewing and quilting experience. You tell the Baby Lock Crescendo what you want to accomplish and IQ Technology ™ works with the “brain” of the machine to achieve your desired results. The Crescendo also has a large 11.5” workspace, making it the perfect accompaniment to activity. Jazz- With a 12″ workspace and its 1,000-stitch-per-minute tempo, the Baby Lock Jazz offers a big, easy place to finish all my quilt compositions. Its metal construction makes it the perfect workhorse for a professional like me, but it’s straightforward enough that even a beginner can master the machine. 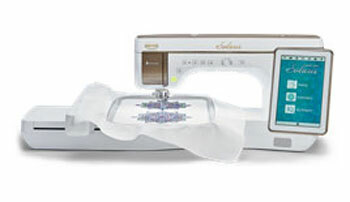 The Soprano – With its quick-set, drop-in bobbin, advanced needle threader and the Automatic Fabric Sensor System that adjusts presser foot pressure and tension for you, the Soprano hits all major high notes from the very start of each sewing performance. Brillant – A sewing machine that’s suited for type of project? That’s genuinely BRILLIANT! Parts of the Baby Lock Genuine Collection, the Brilliant is ready to handle anything from garments to home decor to quilts with ease. Plus, it’s packed with plenty of stitches and helpful, easy-to-use features, making your next creation absolutely brilliant. Jubilant – Want a machine that’s a jack-of-all-trades yet small enough to take on the road, to a class or even to a friends house? Then it’s time to celebrate, because you found ti. 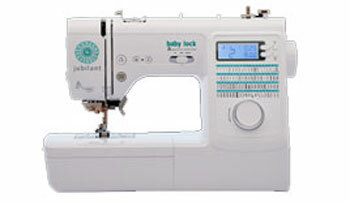 The Jubilant is ideal for a variety of sewing projects like quilt piecing, smaller home decor and even basic garments. It’s a machine that gives you plenty of genuine opportunities to let you creativity shine and be Jubilant. Joy – Having to sew on a patch or fix a hem used to be a hassle, now it’s a joy! The Joy is the perfect choice for beginning sewers looking to add to their crafting opportunities or make small sewing projects around the house. You’ve just discovered the genuine joy of sewing! IMAGINE – Need a machine that’s easy to thread? 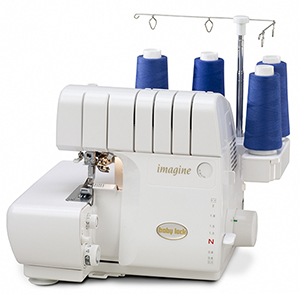 Look no further than the Imagine, which includes Jet-Air Threading and Automatic Thread Delivery for no tension adjustments. Be sure to see our events page, where you can take quilting classes and learn more about your new machine-Call us today and we can help you schedule your machine repair and service too!